As homebuyers and tenants taking advantage of the slow market drive the rise in transactions, John Stevens, managing director of Asteco, says the market remained flat, with “some areas showing more pronounced drops particularly year-on-year”. The price softening was far more pronounced in the residential rent segment as both apartment and villa communities in some areas recorded a double-digit decline year-on-year. Apartment rents over the quarter fell 4 per cent, while year-on-year rates showed a marked drop of 12 per cent, according to Asteco. Villa rental rates echoed this, with a 3 per cent quarter-on-quarter and a 10 per cent year-on-year drop. On the sales front, although the price movement in both the apartment and villa segments was stable on quarter-on-quarter basis, prices plunged by 4 per cent and 3 per cent respectively in yearly terms. Stevens says the most challenging asset class this year has been commercial real estate. “Office sales prices and rental rates remained flat in the third quarter compared with the second quarter, with a year-on-year decline of 6 per cent for sales and a marginal drop of 2 per cent for rentals,” says Stevens. Hit by weak market sentiment due to internal and external factors, including low oil price, regional uncertainty and subdued global economic outlook, Dubai’s property market was further bogged down by new supply entering the market over the last nine months. Volpi says sales and rental prices will further soften due to the wide array of choices available. “We will not see a return to equilibrium of the market for another six to 12 months,” he says. Retail rents have also softened due to higher vacancy rates, says Volpi, as landlords prefer to negotiate with existing tenants. In light of these challenges, developers are responding by offering more attractive and flexible terms to both tenants and purchasers. “This strategy is aimed at maintaining headline rents and prices, while at the same time offering reductions in the real price and rents,” says Craig Plumb, head of research at JLL Middle East and North Africa (Mena). As the market continues to favour tenants and buyers, the gap between asking prices and effective prices is likely to widen, says Plumb. 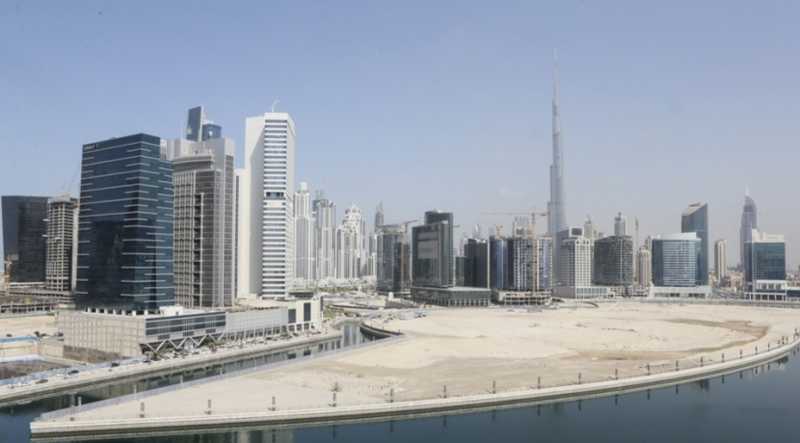 Dubai Marina posted the highest decline in rental rates at 19 per cent in the third quarter compared with the same period last year, followed by Downtown Dubai (18 per cent), Dubai Sports City (16 per cent) and Bur Dubai (16 per cent), according to Asteco. In the villa segment, The Springs showed the highest decline in rental rates at 18 per cent, followed by Arabian Ranches (15 per cent), the Palm Jumeirah (15 per cent), Dubai Sports City (14 per cent) and Jumeirah Village (14 per cent). However, sales prices within the apartment segment varied significantly from community to community. 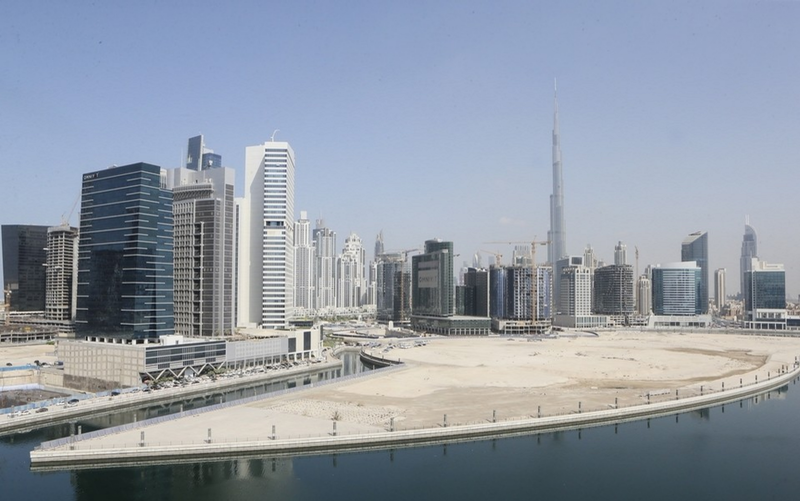 “Dubai Silicon Oasis declined 9 per cent to Dh829 per square foot, whereas The Greens witnessed a growth of 13 per cent to Dh1,352 per square foot, by far the best-performing area in the third quarter,” says Ivana Gazivoda Vucinic, head of advisory and research at Chestertons Mena. Dubai Marina also witnessed an increase of 2 per cent in average sales prices to Dh1,470 per square foot, according to Chestertons. Business Bay saw a 1 per cent increase in prices, rounding out the areas witnessing positive results. The increasing new supply into the market has put further pressure on the already-weakening sales and rental prices, which, if industry experts are to be believed, are heading for further correction in the coming quarters. “We expect further correction in both the villa and apartment markets for at least the next three to four quarters,” says Vucinic. According to Asteco, more than 10,200 apartments were delivered in the first three quarters of the year and a further 3,500 units are due for completion before the end of the year. Last year, the total supply was only 8,750 apartments. While average office rents declined by 3 per cent year-on-year, Taimur Khan, senior analyst at Knight Frank, says this an improvement over the previous quarter as there was a 4.5 per cent year-on-year decline during the second quarter. Khan adds that prime rental performance has performed well both on a quarterly and annual basis, rising 1 per cent and 2 per cent respectively, because of “high demand for office space in this sector and limited new supply underpinning price growth”. According to JLL, the third quarter saw around 35,000 sq m of gross leasable area (GLA) across Dubai, with an additional 110,000 sq m due for completion by year end. Despite the new supply, an oversupply in prime commercial office space is unlikely in core locations such as Dubai International Financial Centre and Tecom as occupancy remains high and demand strong, according to Matthew Dadd, head of commercial agency and leasing at Knight Frank. Furthermore, the vacancy rates within commercial business districts have been largely stable over the past quarter at around 8 per cent. On the retail front, the market also remains subdued with super-regional and regional malls recording quarter-on-quarter declines of 3-5 per cent in headline rents, according to JLL. Smaller neighbourhood and community malls have generally recorded greater declines than the larger ones. With a current supply of 3.4 million sq m, retail real estate in Dubai has seen vacancy levels increase over the past year. This trend has continued during the third quarter to reach 12 per cent. Although Dubai remains one of the best-performing hospitality markets in the world, the emirate’s hotel industry remained under pressure, according to JLL, with year-to-date revenue per available room (RevPAR) of Dh503 in August the lowest in the past decade. The average daily rate (ADR) registered a 4 per cent drop to Dh665. However, Dubai continues to see a strong occupancy rate at 75 per cent since the beginning of the year despite 1,800 keys added to the market in the third quarter, bringing the total stock of quality hotel rooms to almost 82,200 keys. “[The] hotel and retail sectors are experiencing softening market conditions and can be expected to see performance decline further over the next 12 months,” says Plumb. Ostensibly, the current trend suggests that residential demand is gradually shifting from the secondary to the primary market or off-plan projects, as most developers are offering financing options with attractive payment terms and lower down payments. This has resulted in a massive growth in off-plan sales during the third quarter, accounting for 65 per cent of all transactions so far this year, according to JLL. “The off-plan sales have really taken off mainly due to the relaxing of developer payment plans and lower start pricing points, coupled with long post-handover payments,” says Volpi. Alexander von-Sayn Wittgenstein, luxury sales director of Luxhabitat, says there is also growing demand for off-plan options in the prime residential market, although he cites a variety of factors driving this, including homeowners looking for better homes. “It really depends on the area and the supply due to arrive,” says Wittgenstein. For off-plan and ready-made units, industry experts explain there are two types of buyers when considering the risk profile: those looking at ready-made units are more risk averse, while off-plan buyers are more willing to take risks with an eye on capital appreciation. Wittgenstein says investors are looking at both apartments and villas in areas such as Dubai Creek Harbour, Downtown Dubai and smaller units such as Maple in Dubai Hills Estate. “The best-performing area was Dubai Marina with Dh363 million, and the worst-performing was Jumeirah Islands at Dh26.6 million in secondary-market sales,” he says. With additional stock entering the market, most industry experts PW spoke to agree that the market is heading for further correction, and the reversal of the current trend can only be anticipated late next year.